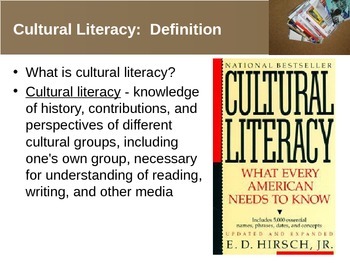 Are your students culturally literate? Don't worry, this is something that all educators struggle with. This PowerPoint presentation was created to combat this issue. 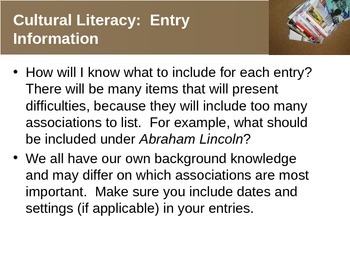 After reading Hirsh's book on cultural literacy, I decided to create an activity in which my students would be "forced" to research items that all American should know and share the information they gathered with their peers. We created a cultural literacy list all year long and added to it each time a student presented information. This list also helped my students with identifying allusions - two bird with one stone! 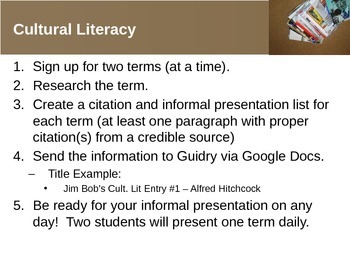 This is a great activity to get students researching and to practice citing sources properly. 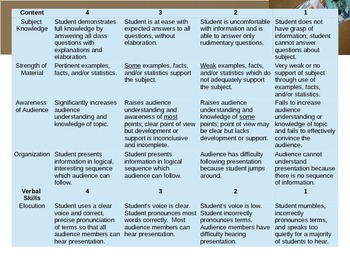 This PowerPoint was created to present the activity to students and includes a rubric to grade student presentations.